Georgia is a changemaker, ex-lawyer and now CEO of Humanitix NZ, and she shares about building the world’s first non-profit events ticketing platform backed by Google and Atlassian, the value of education and the power of community. Louise is the CEO of the Ākina Foundation and she spoke this morning in Wellington at the launch of the major new report: “Structuring for Impact: Evolving Legal Structures for Business in New Zealand”. I really enjoyed the process of helping to co-author this report with a group of amazing people who are mentioned in this podcast. Please have a read of the report and help us share it to your networks too – it is about what the ingredients are to help empower business of the future here in Aotearoa New Zealand! You can access it here – please also consider sharing the link so it can spread wider! Yes, this is a very long episode! Have a listen to short intro to understand more but it is all the audio of more than 10 sessions at the two day conference “Future prospects for charity law, accounting and regulation” held 11-12 April 2019 at Te Papa and providing it all here so accessible to all those who were not in the room but would be challenged and empowered by the content. Carolyn is an expert on the history of financial reporting – in this interview we spoke in front of a live audience of almost 200 at a conference held at Te Papa in Wellington on 11-12 April 2019. In this wide ranging interview we discuss the history of what might sound like a dull topic by jumping back in time ancient Egypt as well as fish hooks in colonial New Zealand and what has led to our current reporting standards. I have been on the committee organising this conference which brought around 40 speakers from around the world together. John Page is a governance expert at BoardWorks. He is also the writer of a major research report “True to Label” looking at how value is measured in the non-profit sector in Aotearoa New Zealand. He has many years of governance experience in a variety of roles and in the arts which we discuss in the interview. Now in his role he works as a consultant supporting governing boards and directors in their leadership roles. Peter was the Dean of the Christchurch Cathedral at the time of the earthquakes in 2011. I chose to air this interview now because we talk about love and acceptance in this and it feels like the most appropriate interview given the Christchurch attacks which have just happened. In this wide ranging conversation we discuss his background in the UK, his studies at Oxford University and what led him to become a priest, how he ended up in New Zealand and his memories of the quakes. We also take time to reflect on spiritual ‘thin places’ where the distance between physical things and spiritual things is less thick. Matthew founded Youth Arts New Zealand to empower youth to creatively express themselves. We talk about his life and what led him to start this, the value of collaboration across creative arts, the interaction between an audience and a performer, what music means to him, storytelling through live shows and music and why bringing different types of arts together is so important. In this episode I share everything I’ve learned about how to create a podcast. This was recorded live when I gave it as a session at the Social Enterprise Unconference in Levin in mid February 2019. 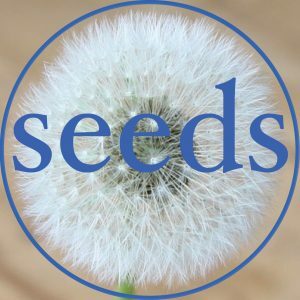 One of my dreams for seedswas to teach others so they could start their own podcast so if you are interested in learning more then drop me a line and happy to help answer your questions – steven@theseeds.nz. Joanna is the CEO of ChristchurchNZ which promotes the city as both a tourism destination and a dynamic place for business to grow. In this interview we talk about her early life, working as a reporter, the role of journalism in the world today, her role as Editor of The Press just after the earthquakes and what the future holds for Christchurch. I really enjoyed this 85th episode and my discussion with Joanna and am sure you will appreciate it as well. Lisa founded Social Currency an accounting firm with a difference that we discuss in the interview (hint: it gives back). We also talk about Lisa’s early life, a near death experience at 11, growing up and playing different sports, how she came up with the idea for social currency and how it works. I enjoyed my discussion with Lisa as we talked about many other things as well ranging from prison to encouraging the youth of today. Kerri coordinates ‘Carabiner’ in Christchurch which helps provide mentoring opportunities for young people aged 18-25 with disabilities. In this interview we talk about her childhood, love of the outdoors, working life and her views about what the word “disability” means. I really enjoyed talking with Kerri and she is a real inspiration – a few minutes of listening to this interview and you will see what I mean as her positivity and humour are catching! E Wen Wong was 13 when she founded P.S. Our Beaches. Now aged 16 we talk about her love of poetry, founding an organisation to clean up our beaches, solving problems and what the future holds. Steve is the Executive Director at Pathway which is a charity and social enterprise helping prisoners reintegrate back into society after they leave prison. It does that through a charitable trust owning two businesses which employ those ex prisoners. In this longest episode so far we talk about his childhood, different careers including as a radio host, President of the Canterbury Students Association and Owner of the Hollywood cinema in Sumner. We also touch on national identity, teachers who shape us most, social enterprise cinemas in Rolleston, and much more. Robert speaks about suicide from a place of sincerity and personal experience which is profound. In this episode we talk with him about his childhood, early life, guardian angels who have saved him from suicide, the epidemic that we are seeing now, mental health, vulnerability and how to have more open conversations. This is a wide ranging conversation touching on many topics with an eloquent voice for his generation who co-founded a Facebook page “Killing the Stigma” on this which now has 370,000+ likes and has hit a real chord. Some interviews are like little jewels that I’ve somehow uncovered while walking along the beach. Today is one of those as I speak with the poet Kathleen Gallagher. Kathleen has written plays, poems, novels as well as done 7 feature films. In this interview we talk about her childhood, the creative writing process, how she writes, being attentive and in the moment and her recent novel Inangahua Gold. Sister Mary was born in 1929 and knew she wanted to be a nurse early in her life. In January 1949 she joined Little Company of Mary which is coming up to 70 years of service. In this interview we talk about her early life and memories of the first radio her family purchased, the Great Depression, the start of World War II and at age 16 her first experience of being with someone who died while she was working as a nurse caring for them. We then talk about what she has learned through a life of service and in particular about light and love. This is a most unusual interview and one I think is particularly powerful so I hope you enjoy it. Julie co-founded charity KidsCan 13 years ago and is the CEO now. In this interview we talk about her childhood, her first jobs, the influence of her parents on her life and what led her to start KidsCan. We also talk about child poverty in New Zealand and what they are seeing on the front line among the almost 800 schools that they are in and how they are supporting children in need. We then discuss Te Ao Māori and its growing influence on what they are doing at KidsCan. This is one of those heartbreaking, challenging, encouraging and uplifting interviews as we dive deeper with Julie to really understand what motivates her and what they are doing through KidsCan. Thanks everyone for helping reach this significant milestone! The 75th episode was just released and with that we passed 20,000 total listens across all the interviews. Thanks to all who are out there listening to one, or many, of the episodes of the show and telling others about it – this milestone would not have been possible without you! In honour of reaching this have edited the seminar last week that was given in Auckland called “Social Enterprise in Aotearoa: Where to?”. This was held on 4 December 2018 at RSM and there were more than 50 who came along to hear the talk and some really good discussions and engagement around the issues. Earlier this week (actually, last night!) I presented to around 50 people on Social Enterprise in Auckland and this is just a few short minutes extract of that more than hour long session. I was reflecting on what we are actually talking about when we think about social enterprise and the paradigm shift that is occurring as we move away from the binary conception of charity on the one side (mainly acting from heart) and business on the other (mainly acting from mind) and how the term social enterprise helps us as an intermediate stepping stone between the two, for now. Mike was appointed earlier this year to be ‘Wikipedian at Large’ and has been travelling the country in that role. In this interview we talk about his childhood, his PHD in giant flightless birds and their egg sizes, his work in museums over the years and his role now promoting Wikipedia and running seminars across the country on that. Rowan is a lecturer in the History Department at Canterbury University who has done years of research into ANZAC history. In this interview (released in the month that is the centenary of World War I ending) we talk about his early childhood in Auckland,what led him to study history, and why it is that we celebrate a defeat in WW1 rather than the end of the war or a victory. This is one of those wide ranging interviews that touches on many areas so I am sure you will enjoy it. Rowan’s book on the topic of the ANZAC history will be published in 2019. Episode 72 – Louise Aitken on Ākina, Social Enterprise in Aotearoa … and being a twin! Louise Aitken is the CEO of Ākina Foundation which is growing social enterprise in Aotearoa New Zealand. In this interview (the longest so far!) we talk about her childhood, what it was like growing up with her twin sister Natalie, moving to Brazil age 17 and how that shaped her identity, taking care of her father who passed away from cancer in her 20s, her career working in London, how she made the decision to return to New Zealand and her work in CSR and other areas since returning. We then go into lots of detail about social enterprise in New Zealand – both its history here, what the shape of it may be and what the future could hold. On this episode we discuss dyslexia as a form of Superpower. Why might that be? After our full interview Geoff Bone contacted me to say he wanted to talk about Dyslexia. While it is hinted at in the full interview he asked if he could come back and share more about his experience. We thought it would be a 2 minute insert into the interview but then it became more – this episode. I readily agreed to chat because I think everyone knows someone who has been affected by Dyslexia so here is a short episode where we discuss his experience, what it has meant for his son who is on that journey and the value it has played in his adult life (developing grit and determination). Geoff is the event director for the New Zealand Agricultural Show (formerly the Canterbury A&P Show). In this interview we talk about Geoff’s childhood and years overseas in Australia and London, what it is that makes a great event, cultural differences between New Zealand and overseas, how to succeed while dealing with rejection, the history and what goes on at the New Zealand Agricultural Show which gets 100,000 visitors over a few days in November as well as the nature of it and being a social enterprise. Holly is one of the four co-founders of Collaborate which connects people with volunteering opportunities. In this interview we discuss her early childhood in the UK, the implications of moving to New Zealand at a young age, her interest and love of theatre and what that has meant for other initiatives, how she started on the journey of co-founding Collaborate, how it works, the ups and downs of being a social enterprise and what the future holds. Anthony is a co-founder (with his Father) of Mars Bioimaging Limited which produces 3D colour x-rays (spectral molecular imaging). This involves the intersection of high energy physics with clinical medicine. In this interview we talk his childhood and background and what led him to work in this area. We also talk about the technology itself and how it works and then dive down a rabbit hole what the future of health care and scanning might look like in 30, 50, or 100 years as technology improves. Finally we chat about Anthony’s purpose and real reason for continuing to develop the technology further. “What does Social Enterprise mean to us as Tangata Whenua?” This question was explored during this participative session2 at the Aotearoa Social Enterprise Forum held on 19 October 2018. We heard from Kaye Maree Dunn (Chair) along with Cain Kerehoma, and Chanelle Armstrong. Samantha Jones gave the last word at the Aotearoa SocialEnterprise Forum held on 19 October 2018 in Wellington. The full transcript is also available. She brought some truths to the table that deserve to be heard such as “Leave ego behind. If you really want to influence people let your actions speak for themselves.” This is a challenge for change and action over complacency and not focusing on the image without the substance to back it up. She also talks about how hard the journey actually is which is something we don’t do enough of. I am releasing this less than 24 hours after she gave the talk because I think it is important for all those who could not make it to the conference to also hear this message and the many challenges it contains. If you agree then consider sharing it with others who would appreciate it. Dr Pleayo Tovaranonte explains the social enterprise Beyond the Stethoscope that he co-founded sending Doctors to other parts of the world. We also discuss his many other entrepreneurial adventures, such as his work with REV3 Tech on new technology to sell apartments with Augmented Reality and Virtual Reality for construction projects. We also talk about his childhood in Thailand and what it was like moving to New Zealand at a young age and the cultural differences he noticed. Oh, and the tiny house movement,studying to be a heart surgeon, what it is like to be a GP and making a difference with your life. Episode 64 – Seeds Takeover! Tim Jones & Mark Ambundo discuss … everything! Two former podcast guests have become great friends in the last year and as I respect each of them so highly I invited them to comeback and chat about whatever they wanted – I knew the quality would be superb and so on this episode they offer their unique perspectives on the West, the future, holding hands, cultures, colonisation, people, dog walking, spirituality, purpose, driving culture, social enterprise … it’s wide ranging which has always been the purpose of this podcast – to tell good stories and stimulate thinking. This is the best type of podcast mashup to keep things varied up! On one side of the microphone we have Tim Jones (originally from the UK) and on the other we have Mark Ambundo (from Kenya). This is a rollicking ride of a discussion and I hope you enjoy it! This is a short talk given to about 50 people who were all involved as board members and so was sharing a list of top 10 tips for good governance. Thought some of you would be interested in these as well. My voice barely made it through! Cheryl is a leadership futurist and expert in education and in this interview we combine the two into a far reaching discussion about what is to come in relation to the future of learning. We also talked about her background as a school principal, the impact of a child dying of abuse on an entire school community, the recent Future of Learning conference she co-organised with Hamish Duff (from Recalibrate) as well as her work at Think Beyond. Simon fled Rwanda aged 16 in 1994 and never saw his home again. This is one of those really deep episodes where we really explore what it even means to be human and reflect on what is important in life. In this interview we talk about his experience of being a refugee, what it is like to have your identity stripped from you, key points that he has learned from his journey and how he survived. We also talk about what he learnt from his parents and their positive attitude and the impact on his life of someone who helped his family in unanticipated ways. Finally we talk about his transition to life in New Zealand and how he continues to help others since his arrival here 15 years ago. Dr Sharon McIver founded social enterprise ‘Our Daily Waste’ and in this conversation we talk about her entrepreneurial journey. Before getting to that though we discuss her childhood as well as work as a music journalist that meant she reviewed hundreds of albums and interviewed many musicians such as Radiohead and Ben Harper. We also talk about her doctoral thesis on outdoor dance culture which also looked at the influence of the New Zealand landscape on Kiwi music. This is one of those conversations where we end up talking about many, many topics so you are sure to enjoy it! Reuben is a co-founder and Managing Director of Smudge which has been developing apps since the iPhone first came out. In this interview we start with a discussion about his love of music before we turn to his early experiences developing apps. We then discuss some of the work they do today including with the New Zealand Police to save thousands of hours of time and reduce the paperwork involved in their jobs. This is being released in the week of the Canterbury Tech Summit 2018 which had more than 700 attend – and where Seeds Podcast had a stand in the Community Zone. To celebrate getting to 15,000 listens this “Legal Mashup” is a bonus episode recorded at XCHC recently. In this I presented along with Kris Morrison about key start-up issues including what a social enterprise is, best legal structure options for them, the charitable option, governance, board size, liability, intellectual property, overseas considerations, employment, and other start-up issues … we covered a lot! If you enjoy it consider sharing with someone else who is at the start of their entrepreneurial journey. Dave Lane is an advocate for open source software and is the President of the NZ Open Source Society. In this interview we talk about his early years (including his Quaker roots) and growing up in a multilingual home. We also discuss his studies and what led him to New Zealand and his experiences as an entrepreneur. Philipp is researching fuel use in rockets at the University of Canterbury looking in particular at rocket flight mechanics and control in collaboration with Rocket Lab. In this interview we talk about his childhood in Germany, what he learned from his Father who got cancer and passed away and how it prepared him for his own battle and surviving cancer. We then get pretty deep about what that experience of survival has meant for how he approaches the rest of his life and finds his purpose. We also talk about extreme endurance races and one that Philipp was about to do in Africa that was more than 200 kilometres in a week. Professor Julia Rucklidge has been researching the link between diet, nutrients and mental health and in this interview we talk about that work. We also discuss her childhood and background growing up in Canada, how she got into this field, what the research is actually showing and what it was like to give a TEDx talk that has almost a million views. Zoë Hector (nee Haws) founded social enterprise ‘Talk Town’ after she had worked as a teacher aide and saw deaf children left out of games on the playground. In this interview we talk about her own background and journey that has led to this initiative, what it was like to win the Entre start-up challenge in 2017 and her plans for the future. Zoe has a crowdfunding campaign at the moment – check it out in the link below. This is a bonus compilation episode to celebrate getting to 52 interviews looking back through some of the conversations to pull out short extracts of “the moment” when something changed for the people I was interviewing. I hope you enjoy it! Only a few social enterprises that I meet are focused on the digital and online world – so it was refreshing to talk with Stuart Dillon-Roberts who founded social enterprise Digital Journey. The aim is to ‘deliver digital projects and initiatives to support our goal of creating an environment where everyone has the opportunity to use, understand and benefit from digital services.’ In this interview we talk about Stuart’s background and what led to forming this venture as well as how they work as a social enterprise. We also discuss exactly how they can help companies and people to improve their online presence with an interactive assessment and resources. Angela Sothern has an idea for a new charity fundraising loyalty programme which is intended to to help towards the achievement of the Sustainable Development Goals. We discuss Angela’s background and history as well as her new initiative. In this interview we disagree a bit about the steps to implement the idea and have global impact. Angela has also provided the update below as well on positive progress since the intervew. Welcome to the 50th episode! Marcelle Lunam is the founder and project lead for Tūmanako Wellness Centre. Marcelle has worked in film as a director and we discuss the influence her Grandfather had on her as a child learning to appreciate light, paintings and film. We also discuss her career and work with the innovative Chris O’Brien Lifehouse in Sydney as well as being a creative who has been the international Creative Director of Mambo and Creative Director of zSpace in Sydney. We then discuss Tūmanako Wellness Centre and the unique plans to take the best of what is done overseas and improve on it here – what is it, what the plans for the future are and how it might change life for people. Andrew Bell is the Executive Director of The Fred Hollows Foundation NZ which he has led since 2010. In this interview we discuss his background and childhood in South Africa as a child of apartheid, studying anthropology and sociology and what that was like with a growing sense of the injustice of apartheid. We also discuss his role now with efforts to prevent blindness through the work of The Fred Hollows Foundation. Peter is the project coordinator for the local urban food hub Ōtākaro Orchard. Its aim is to provide knowledge and inspiration about sustainable food systems as part of the Food Resilience Network. In this interview we talk with Peter about his background and experiences in different parts of the world and what led him to move to Christchurch to be involved with this new initiative as well as his time in Edinburgh, Costa Rica, discussing modern dance, acting and theatre. Alanna Chapman is a co-founder of 27 Seconds which is a social enterprise winery whose profits go to ending modern day slavery. They do this by supporting the work of Hagar with their profits. In this interview we talk about her childhood that included living in South East Asia, her more recent encounters with modern slavery and the resulting origin of the idea for 27 Seconds and how it operates as a social enterprise. Samantha Jones is a social entrepreneur who founded B Corp certified Little Yellow Bird (https://www.littleyellowbird.co.nz/). It’s aim is to ethically make uniforms and other workwear while also considering the source of organic cotton, impact on the environment and the fair treatment of the workers involved. In this interview we talk with Samantha about her childhood, living in Russia, some initiatives she is involved in such as Campus and the origins of Little Yellow Bird. Michael founded the iconic New Zealand brand Cookie Time more than 30 years ago. But that wasn’t his first business idea and the initial ones he had tried failed – but he kept trying. When you talk to Michael it is apparent that if the cookie idea hadn’t worked then he would have tried something else – that entrepreneurial spirit is still evident today with the launch of social enterprise Nutrient Rescue and other ventures we discuss in the interview. Michael’s focus has shifted greatly in the last few years and we discuss his continuing evolution and a wide variety of things that interest him – from tiny houses to electric cars and ‘Light’. Miranda is the STEM Coordinator at the Ara Institute of Canterbury. In this conversation we talk about Miranda’s background including her early years in the ski industry, involvement in space camps for youth, visiting NASA, the mission of Spacebase, the colonisation of Mars and the promotion of STEM for the next generation. David is the Chair of Canterbury Tech and in this episode released during Techweek ’18 we talk about the origins of Canterbury Tech, what it is involved in and the future of technology for the next generation. We also discuss David’s childhood in South Africa, his different entrepreneurial ventures, what makes a good manager and how you hire to get the best people and culture fit. Stella is the Chief Digital Officer (and Acting Executive Director Allied Health) for the Canterbury DHB and West Coast DHB. In this interview we talk about Stella’s career and what she is involved in relating to technology and the health sector. What will a ward of the future look like? What will ‘big data’ mean for health care? We explore these and other questions in this interview. Peter was the Chief Executive of Antarctica New Zealand and in this interview we talk about his background as well as the history of explorers in Antarctica, the work being done supporting world leading science and environmental protection, keeping people safe on the ice, the role of technology now and in the future as well as the international significance of Antarctica and the Southern Ocean. Rob is a Professor and Research Leader at the HIT Lab NZ (Human Interface Technologies) at Canterbury University. In this interview we talk about Rob’s background and how he started researching virtual reality in the 1990s, the origins and key points in the history of virtual reality, how you have to start with the human problem faced before getting carried away with technology and what the future holds for augmented reality. Fiona is the Chief Executive and Secretary General of Paralympics New Zealand. In this interview we talk about her childhood growing up in the UK, the role her parents played in her days as an elite athlete in Europe and how the transition to being involved in Paralympics happened. We also talk about the role of elite sport and in particular in the context of Paralympians, what it is that they inspire in those who get to know them and understand the work they put in, what she has learned from the athletes she has met and her most joyous moments in the job (such as calling the athlete to tell them they have been selected to represent New Zealand). Peter has written many books on New Zealand’s leading creative authors, writers, painters and musicians. His most recent recognition was the 2017 Prime Minister’s Award for Literary Achievement in honour of his non-fiction. In this interview we talk about his work as an editor, writer, critic, curator and former academic in New Zealand and Canada. We also talk about his memories of growing up just after World War II, the thriving literary scene in Christchurch between 1933 and 1953, his life as an academic as well as a period as a Member of Parliament for Lyttelton, his friendship and memories of the poet Allen Curnow, and what he likes about collecting books. Episode 35 – Chris Simcock on Impact Investing … in NZ! Chris is the Founder of Impact Ventures NZ which is a partner in the Impact Enterprise Fund which recently completed a first close having raised $8 million dollars for impact investing in New Zealand. In this interview we talk about his background and work as an investment banker before the decision to get into impact investing. We also discuss what impact investing actually is and what you look for when you go to invest such a fund which is commercially focused and wants market returns but also wants to have impact in other ways too. We also talk about developments in New Zealand in this sector such as the Social Enterprise World Forum in 2017, the role of Ākina and the network of impact investors that is developing as well as the Edmund Hillary Fellowship (Chris is a part of the first cohort). Nigel is a co-founder and Manager of social enterprise Crave Cafe in Morningside in Auckland. In this interview we talk about his childhood memories of the Solomon Islands, how he moved from the desire to make lots of money into setting up Crave, the challenges of operating a social enterprise (particularly in the hospitality industry), the dangers that can come with “success” and the transformation it is bringing to the suburb there and plans for the future. Jarrod is a sociologist at the University of Canterbury and the author of “Patched:The History of Gangs in New Zealand” which was a finalist for best non-fiction book in the New Zealand Book Awards in 2013 (and is also the most stolen book in New Zealand). He recently co-edited “Criminal Justice: A New Zealand Introduction”. In this interview we discuss his life and what has led him to become an expert in this area as well as reflect on the role mentors have had in his life, the importance of cross discipline challenges and danger of silos, changing your mind in the light of better evidence and our shared memories of being involved together with the UCSA almost 20 years ago. Erica is involved in a wide variety of different groups and organisations and we talk with her about all of them and her role as anExperience Curator, Photographer, Community Weaver, #ChChAmbassador and Social Intrapreneur (working with existing organisations to help them grow). The interview begins with her memories of coming from China to New Zealand as a child, studying architecture and then making the decision to move to Christchurch and help support and grow movements here. Michelle is the Chief Executive Officer of Kilmarnock Enterprises which is a social enterprise established 60 years ago. I interviewed Michelle for the first episode of the podcast about her own story but in this follow up episode we focus more on Kilmarnock itself and the challenges it has faced in recent years as an organisation. In particular we talk about developing a great culture as well as how you raise funds when you are a social enterprise and do not fit traditional funding requirements. We also talk about the Social Enterprise World Forum, Impact Investing and the ability of one person with an organisation to leverage change. Camia worked as an architect in Europe for many years before she made her home in Christchurch after the earthquakes. In this interview we talk about community building, the role of architecture in that and the key lessons learned on her journey. We also discuss the XCHC, transitional architecture with the pallet pavilion and her work now with Ohu (Office for Holistic Urbanism). Leighton is the Chief Executive of the Rātā Foundation which provides millions of dollars in grants to community groups and charities each year. In this interview we talk about his life and journey to taking on this role at the end of 2017. We also learn about his motivations, influences, mentors, the key experiences which have shaped him and the meaning of “True North”. Franca is an Environmental Social Scientist with a curiosity about many things in the world so we discuss topics ranging from her childhood in Germany, her research on transnational sovereignty, climate change and love of poetry and the importance of engaging each other across disciplines to both challenge and innovate. Sam is mayor of the fast growing Selwyn District and is one of the youngest mayors in New Zealand. We talk about his childhood, the decision to pursue a political career and what he has learned on the journey. In particular, he reflects on the people who have played a role in his life and encouraged him and what sort of legacy he wants to leave behind. We also cover his involvement in other things such as 24/7 youth work and engaging with young people in Selwyn. Dorenda has studied and worked in Design for nearly all of her life and founded The Britten Institute. In this interview we discuss what application principles of design and design led strategy have in other areas (beyond those we would traditionally think about). We also learn about a life spent trying new things and pushing boundaries that included several years in Papua New Guinea and helping her younger brother John Britten with his work before his untimely death. Michael co-founded Code Club Aotearoa and in this interview we talk about the work that organisation is doing with primary aged school children to teach them how to code. We also talk about his background on rural farms in New Zealand and experience living for several years in the Amazonian jungle before he got into his career in IT. We also discuss his involvement in Canterbury Tech – and what it was like to introduce the Prime Minister of New Zealand at a conference. Amy Marsden is a co-founder of Te Mapua which translates as “the precious children” and works to provide camps and other activities for kids in need. In this interview we talk about her early life and what influenced her to work full time with children. We also talk a lot about her Maori heritage and the impact that has had on her thinking and approach to the work she does now and in particular talk about the term ‘Whanau’ and what that means for the children and others that come across her path. Joanna is the President of the Auckland District Law Society. She is also the founder of Pidgeon Law in Auckland which is a boutique property and commercial law firm. She has been involved with a variety of not for profit and charity committees such as the Selwyn Foundation and Auckland City Mission and these are discussed in the interview. We also talk about growing up with a famous lawyer father, women in the law and the changing profession and what it has taken to succeed in career and integrating that with being a Mother. Jonathan Lee is a professional photographer who has traveled the world taking photos and through them telling amazing stories. In doing this he often supports social enterprises and other great causes. In this interview we talk about his early life in Hong Kong, immigrating to the United States as a child, what formed him and gave him a sense of direction, his involvement in the Beacon Food Forest, a community-driven food-producing garden and forest in the city, work in Nepal after the earthquakes and his views about photography as a form of art and what makes capturing moments in time through photos so special. Ben set up the social enterprise Fill Their Lunchbox and in this episode shares his journey. We learn about his childhood and hard times during high school, losing a friend during the Christchurch earthquakes and his resulting depression and how all these factors led to his being inspired to start Fill Their Lunchbox which not only feeds children who wouldn’t get a lunch otherwise but also works with people from Odyssey House (recovering from drug and alcohol addictions) preparing the lunches to help them find their purpose. Growing up in an international family that spanned the globe, working as a lawyer before starting to work for a variety of charities particularly in the health sector and then becoming the CEO of the Lord Mayor’s Charitable Foundation in Melbourne, Australia which the is the largest and oldest community foundation in Australia and funds many charities and social enterprises. Traveling the country at 11 as a boy soprano, studying acting and working as a professional actor and then working internationally as an opera singer before becoming an activist with Greenpeace, working with Sustainable Cities and the “Redesigning Resources Business Leadership Group” then founding the Hillary Institute to honour those around the world doing great things in mid career and working with Sir Edmund Hillary on that. Mark Prain is the Founding Director of the Hillary Institute of Leadership. On falling in love at first sight, the impact of a friend passing in your 20s, a lifelong love of skiing and travel, co-founding a marketing agency, deciding to retire but then getting a prognosis you never expected to receive and what you learn from that. John Hammond co-founded marketing agency Beck & Caul. Growing up in the Philippines with dreams of Space and interplanetary travel, how a scholarship to the International Space University in France has led to a unique career as an international space consultant, co-authoring “Realizing Tomorrow: The Path to Private Spaceflight”, working as Chief Impact Officer at Singularity University and the study of how to leverage exponential technologies for global impact, becoming one of the first recipients of the Edmund Hillary Fellowship and how that has enabled the newly created SpaceBase team to start leading the push for the democratisation of access to Space, from New Zealand. Emeline Paat-Dalstrom is a co-founder of SpaceBase and arrived in New Zealand in 2017 on a three year Global Impact Visa through the Edmund Hillary Fellowship. Growing up on a Yorkshire Dales hill farm, living in South East Asia during the Vietnam War era, pursuing an academic career, founding the Hawthorn Press, developing ‘Stroud Common Wealth’ and establishing community land trusts and social businesses and what that term “Common Wealth” actually means. Martin is a former academic, business consultant, Quaker, publisher with Hawthorn Press, founder of the UK Biodynamic Land Trust and a director of Stroud (UK) Common Wealth Ltd which enables co-op, cultural and social businesses e.g. community land trusts. Author of Social Ecology (1981); Set Free Childhood (2002); Futures that Work (2003), Common Wealth (2010). Growing up in Rotorua, being involved in the fishing industry and co-founding the New Zealand Salmon Company in the mid 1980s, working as Chief Executive at the Canterbury Employers’ Chamber of Commerce for more than 20 years and the leadership lessons learned over his career. Ambitions to be a superhero as a child and how that affected the decision to become a policeman and then work for many years as an anti-human trafficker, the highs and lows, including burn-out and depression and what you learn through that. Gary Shaw is now the Corporate Social Responsibility Manager at Kathmandu. Growing up in Italy, working as a researcher of economic models at the Hitotsubashi University in Tokyo, joining the finance world as an investment banker before co-founding OPES Impact Fund which focuses on investing in early stage social enterprises in Africa and India. Elena Casolari is the Co-founder and Executive President of OPES Impact Fund and she is also a Board Member of Social Enterprise World Forum C.I.C. based in Glasgow. Joining the Peace Corps in 1964, studying at Harvard Business School and then joining the faculty before being involved in co-founding the Social Enterprise Initiative there. Dr James Austin is Emeritus Professor at Harvard Business School in the Eliot I. Snider and Family Professor of Business Administration, Emeritus Co-Founder Social Enterprise Initiative Harvard Business School. What the Eden Project is, the concept of weaving together entertainment with education, operating as a global social enterprise with expanding operations in China, Australia, America and a proposal for the red zone in Christchurch. David Harland is the CEO of the Eden Project in England which has large biomes at the site in Cornwall in which there are a wide variety of plants from all over the world. Growing up in Kenya and what life is like in the city of Nairobi, what impresses about Western culture when viewed from an African perspective, how community is different, the opportunities people may take for granted here and what it means to find your purpose. Mark Ambundo has been in New Zealand for less than a year and in this conversation gives his unique perspective on what we probably take for granted. Mark is a pastor at Hope Presbyterian Church in Christchurch. On what makes coming home from overseas so special, working with entrepreneurs as ‘Start-Up Activator’ at Ministry of Awesome, the scary/exciting moment you decide to launch out on your own and finding joy and purpose by taking the time to slow down. At the time of this interview Kit Hindin was the Start-Up Activator at the Ministry of Awesome which was founded after the earthquakes to make things happen in Christchurch. They support early-stage entrepreneurs with ideas for projects, events, start-ups, social enterprises and more; to turn their ideas into reality. Working in Silicon Valley in the 1970s, what resilience is in an organisational context, how theory was turned into a living labratory when the earthquakes hit Christchurch and what organisations can do to improve their resilience before a crisis hits.Dr John Vargo is an Executive Director of Resilient Organisations Ltd based in Christchurch, New Zealand. What it feels like to turn 10, what kids can teach adults and what they wish we knew, the keys to developing a growth mindset, some innovative transport ideas, how to reduce pollution and what it means to be a good friend. The one where we learn about a childhood without TV but plenty of imagination, becoming a Member of Parliament, how the earthquakes sparked the decision to become Mayor, the future for social enterprises and both the challenges and unique opportunities facing Christchurch today. The one where we talk about when a national identity forms if you are a child of immigrants, starting your first charity at 15, empowering others as a Social Enterprise lawyer in post Earthquake Christchurch and moving to Tokyo to help grow the Pechakucha movement worldwide. The one where we talk about what it takes to leave working in the corporate world behind, what B Corps actually are and the process to become one, what changes are needed to have more purpose driven people and societies and how medieval history fits in to all this. The one where we learn about a childhood in Mexico, introducing the BlackBerry to Europe with Vodafone, being involved in IT startups in England and how all these unique experiences combined to provide a perfect background to working as the CEO at Kilmarnock Enterprises, a world leading example of a Social Enterprise based in Christchurch, New Zealand.